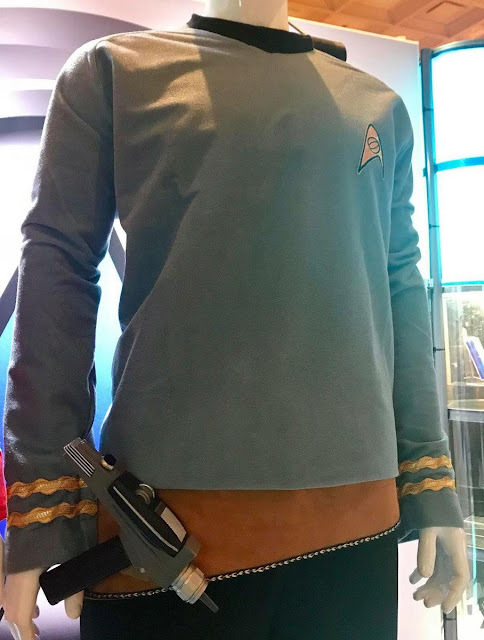 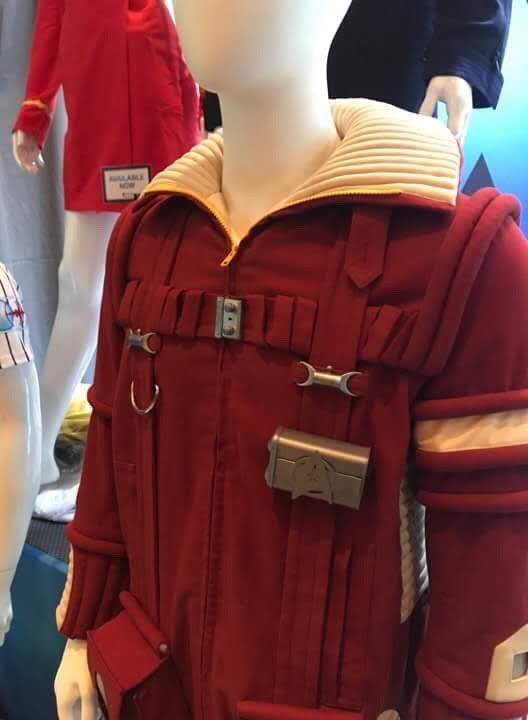 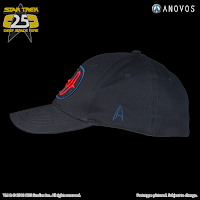 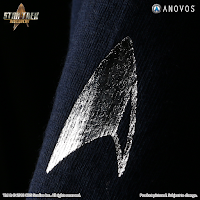 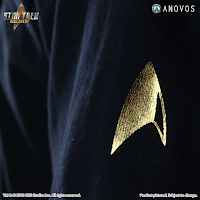 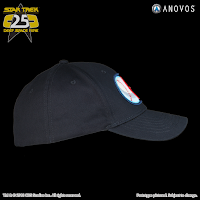 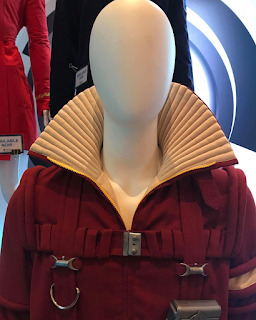 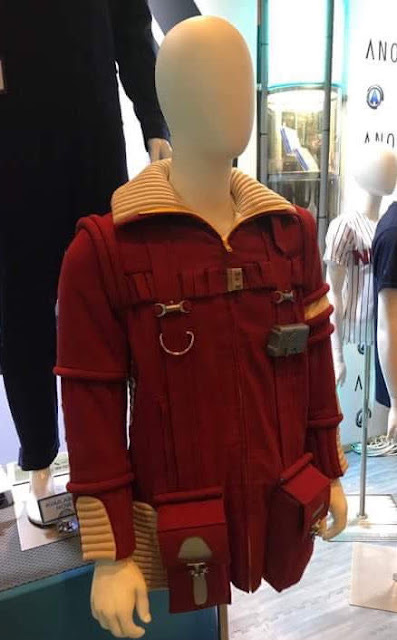 Anovos have released and previewed a whole bunch of new Star Trek costume replicas and novelty clothing items at the recent Star Trek Las Vegas convention, and now those are starting to appear online too. 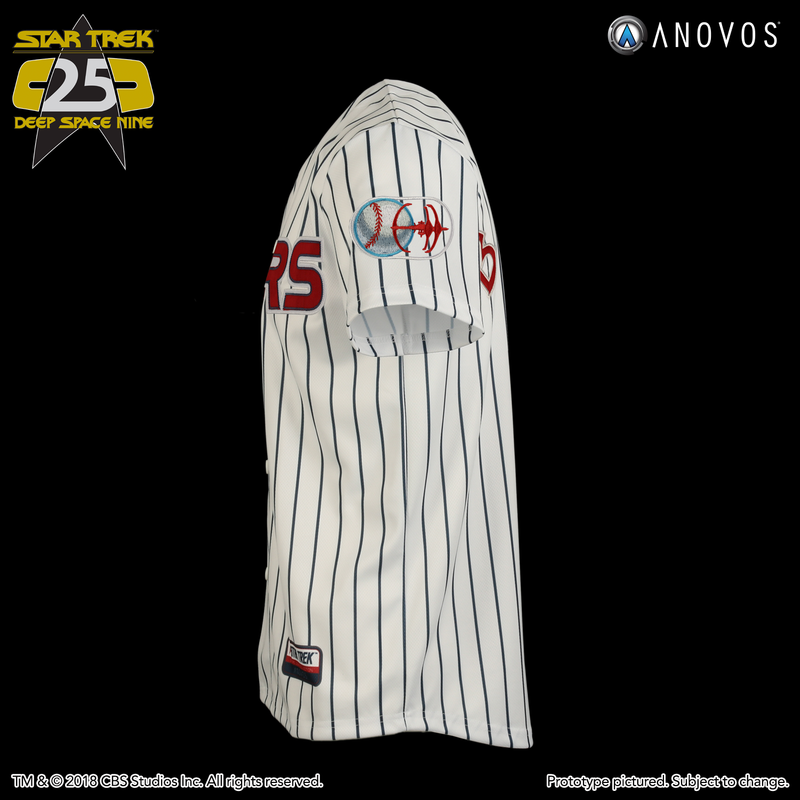 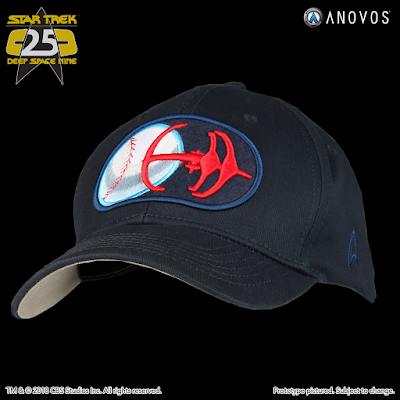 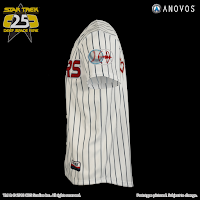 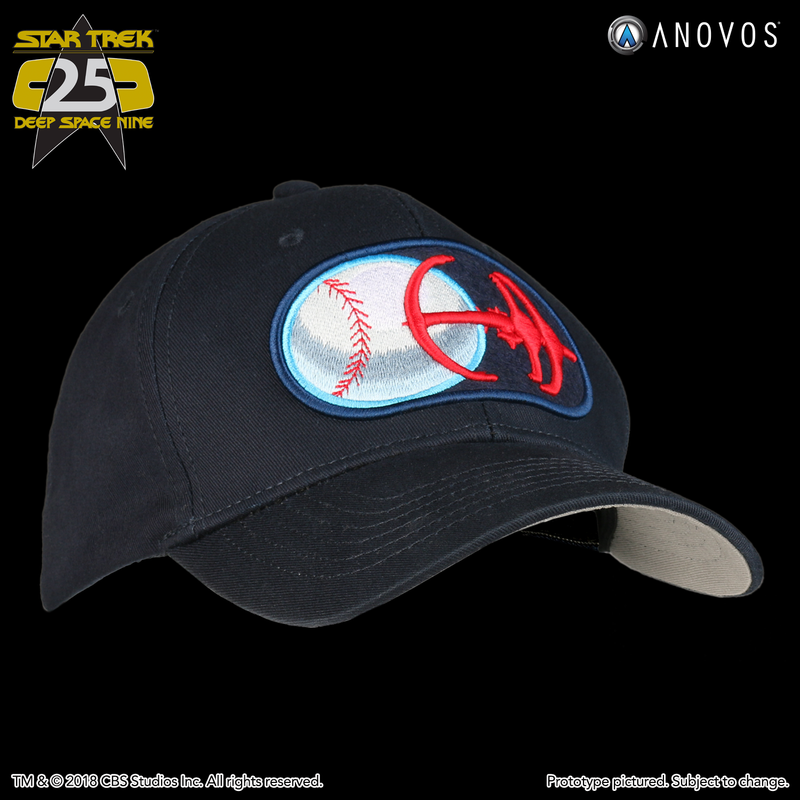 Those new items include new versions of the DISCO T-shirts, the distinctive Wrath of Khan landing party jackets and TOS equipment belts, and an entire range of pieces based on the Niners baseball team from DS9's Take Me Out to the Holosuite. Continue below to check them all out. 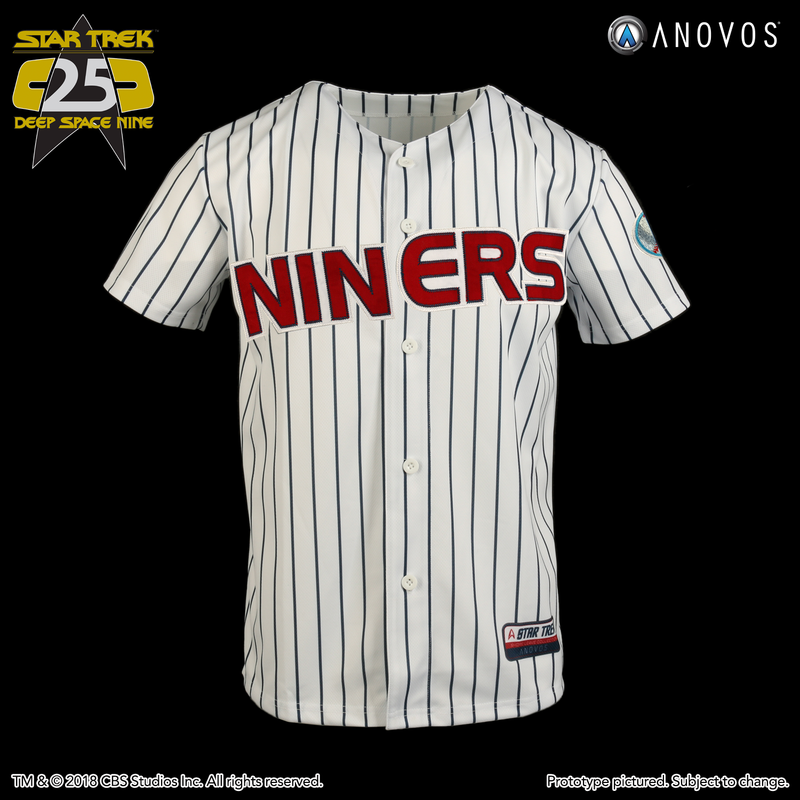 The Niners gear is all up for pre-order, and of course includes the Niners baseball cap, complete with the Niners logo embroidered patch on the front, and a subtle Starfleet delta to one side. 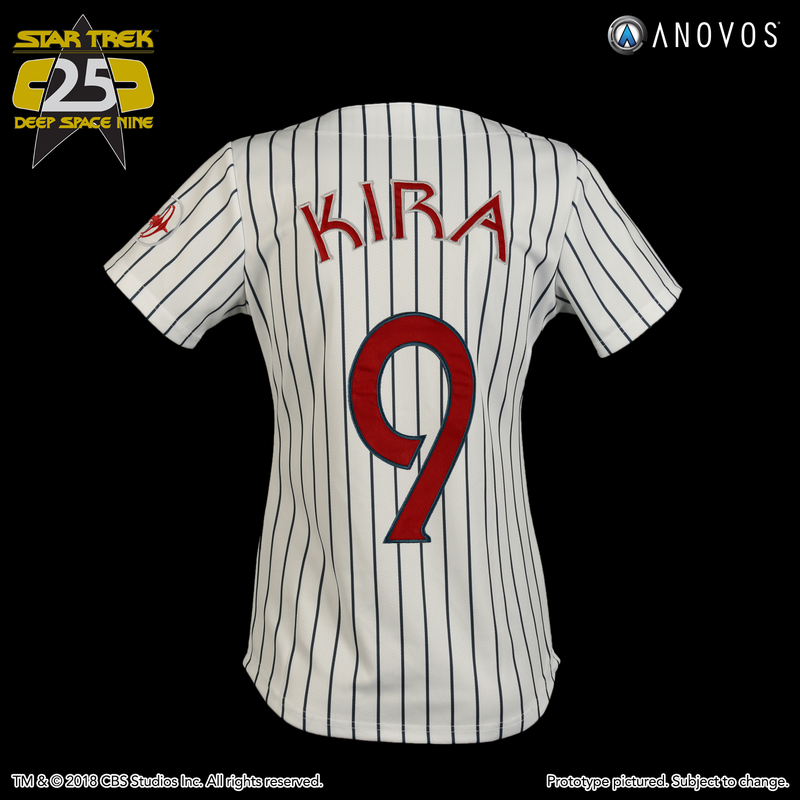 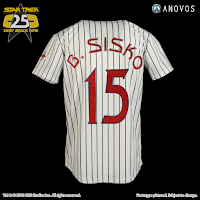 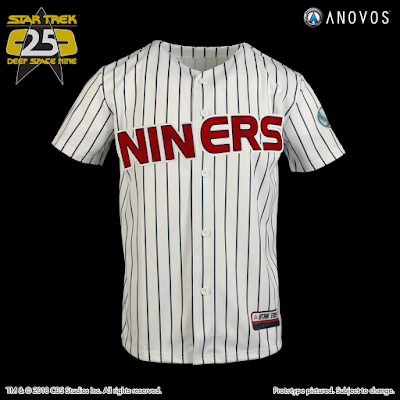 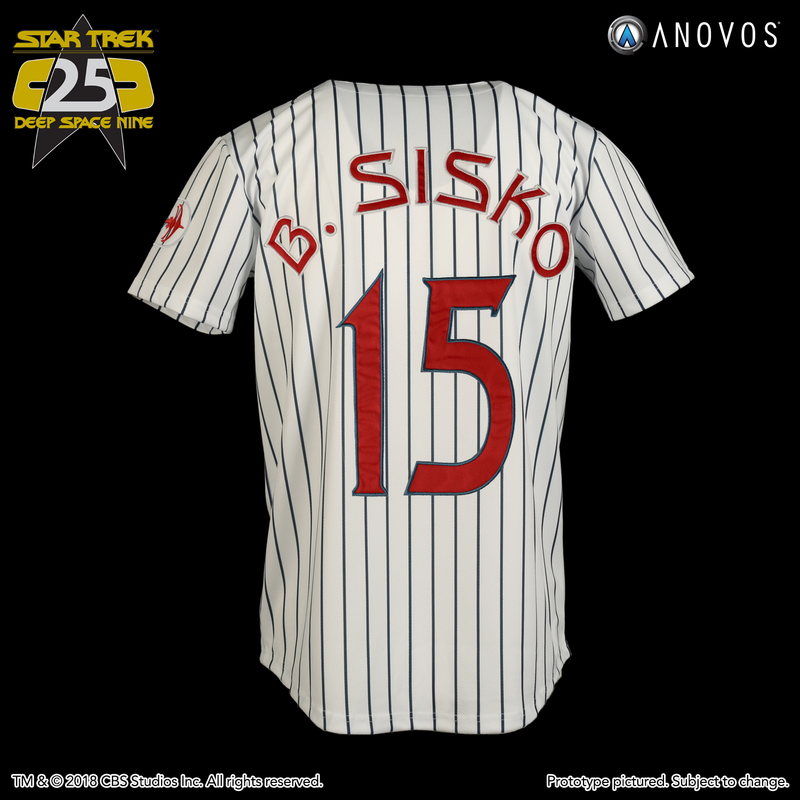 Two Niners jerseys are on offer too, a male version based on Sisko, and a female cut marked as Kira. 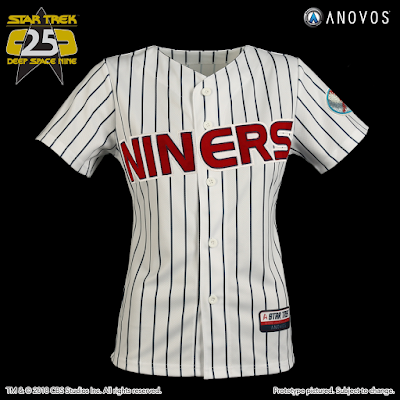 A nice detail on these is that the Niners patch on the sleeve keeps the negative space clear, so the strip of the shirt shows through. 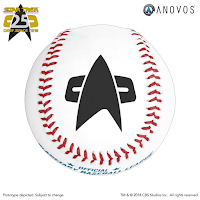 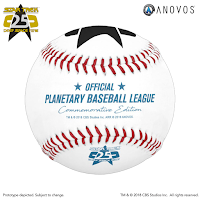 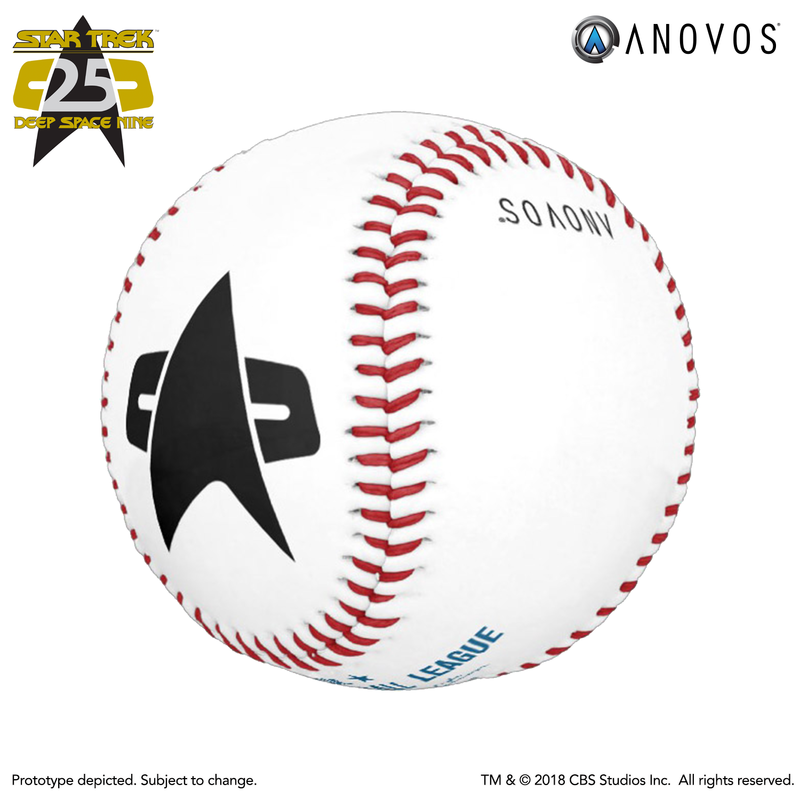 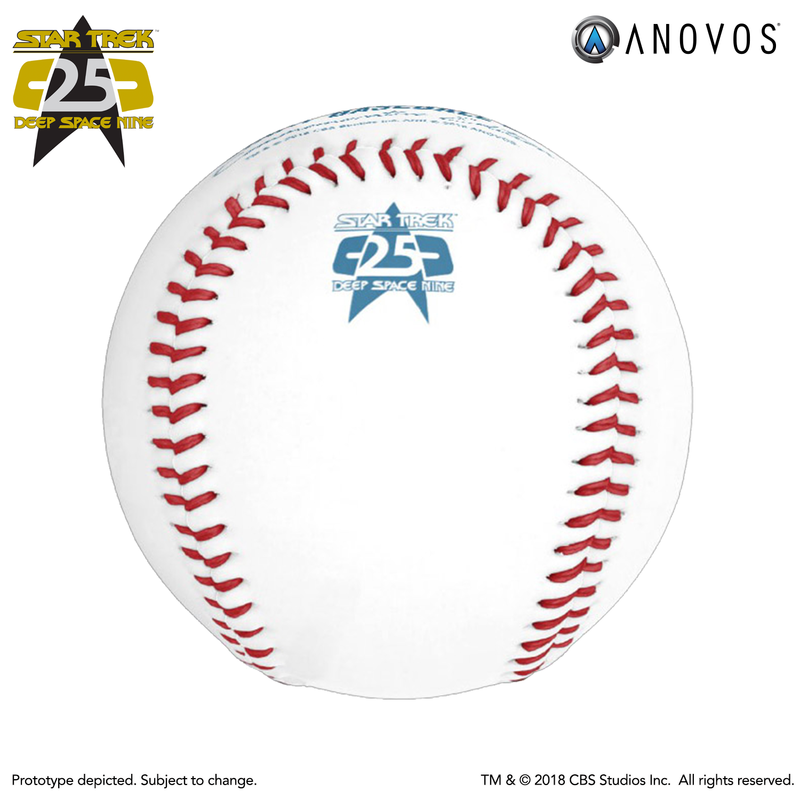 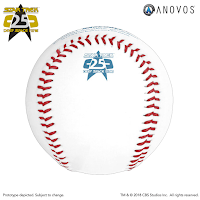 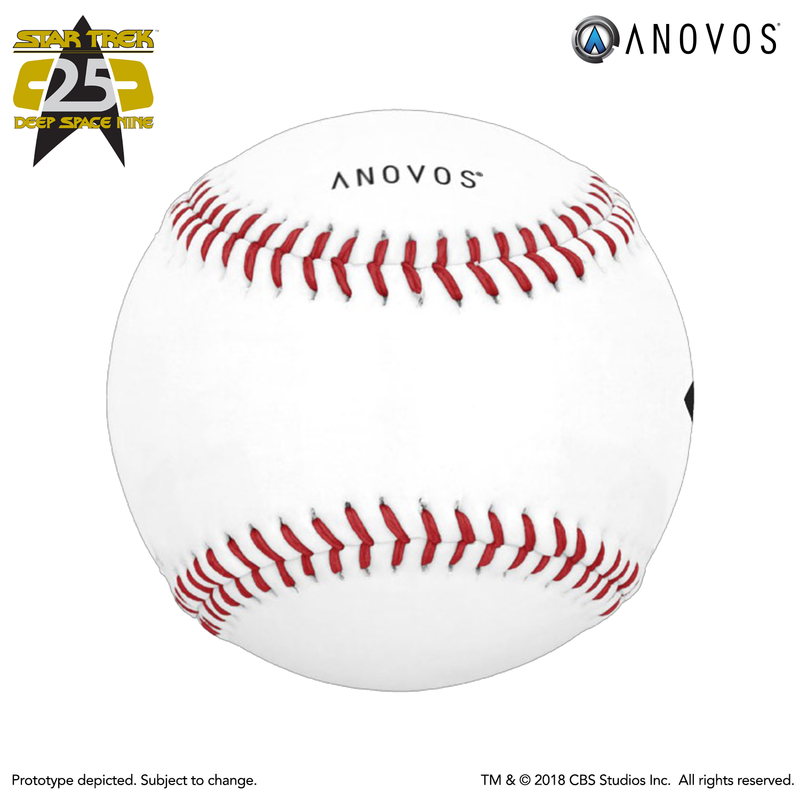 Finally there's a Niner's baseball, perfect for tormenting your favourite Cardassian nemesis. This piece isn't quite screen accurate, but still rounds out the collection nicely. 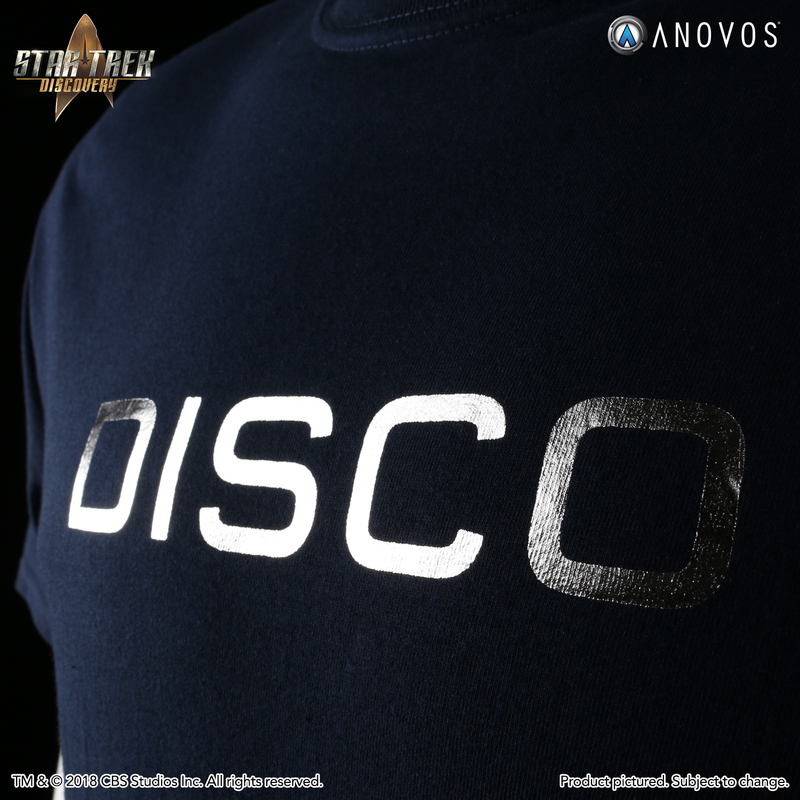 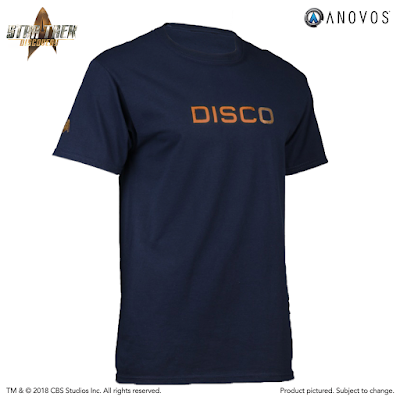 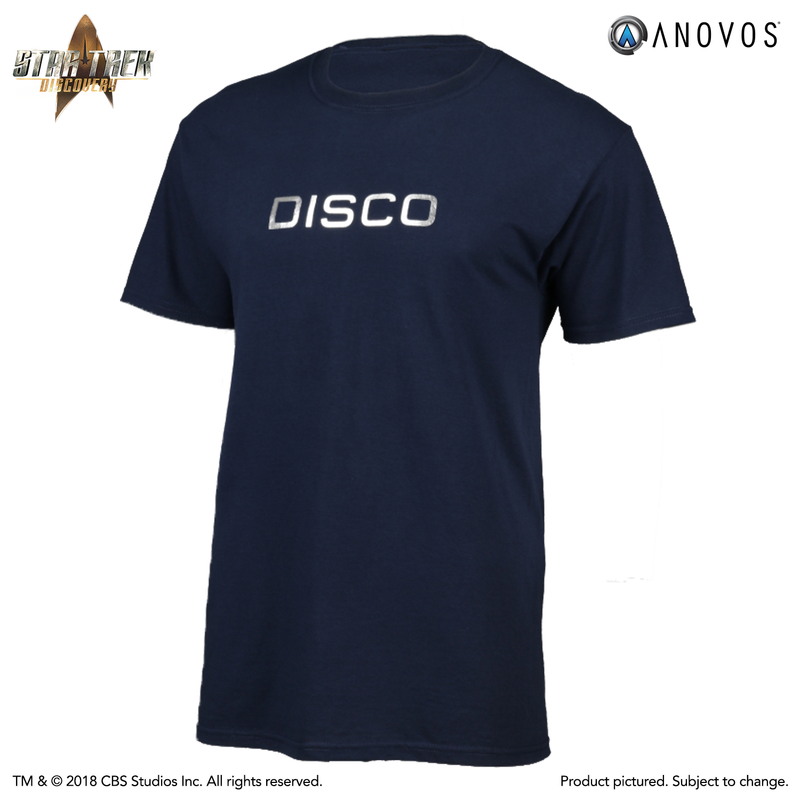 Also on offer at Star Trek Las Vegas, and the San Diego Comic Con before, is a new range of Disco T-shirts (which must surely be the greatest stroke of merchandising genius in all Star Trek). 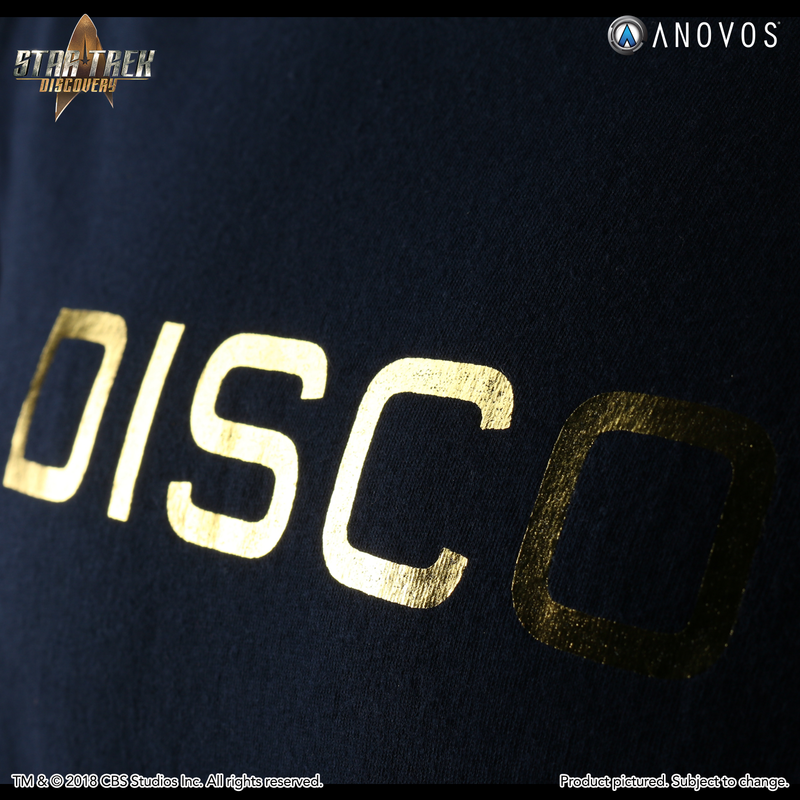 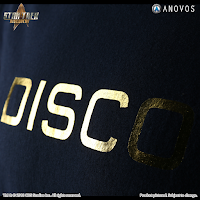 The new Anovos versions, which are available online now too, put a slight twist on design, with department specific foils used from the DISCO text and Starfleet delta, so you can still show off whether you're in command, science, or operations, with golden, silver, or bronze detailing.